Margery Resnick completed her Ph.D. at Harvard University and came to MIT as Head of Foreign Languages and Literatures after serving as assistant professor and Director of Undergraduate Studies in Spanish at Yale University. Her research includes work on Hispanic literature, international writing by women and the history of women at MIT. 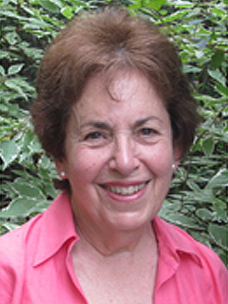 Prof. Resnick has published articles and reviews in Spanish, Mexican and North American journals. She has always enjoyed building university curricula. She initiated MIT’s program in Spanish literature and culture, established the program in English as a Second Language, and made it possible for MIT students to study Chinese. She was a member of the founding group of Women’s Studies and chair from 1998-2001. More recently, she began programs for MIT students in Spain including an intensive IAP language program and a semester-long program at the Politécnica and Complutense universities in Madrid. Several grants, including the d’Arbeloff, have allowed her to generate new subjects and new ways of teaching at the Institute. Prof. Resnick has been involved in student life beyond the classroom. She was a Housemaster and has served on and chaired a wide-range of faculty committees including the President’s Advisory Committee on Women Students’ Interests, the Burchard Scholars, the Committee on Discipline and the Committee on Academic Performance. Her work on gender and graduate education at MIT led to her recent completion of a large-scale study on women in academic medicine for Harvard Medical School. She has been awarded the Baker award for teaching, the Omega award for faculty service, the Panhellenic teaching award, and is a MacVicar Faculty Fellow. Prof. Resnick is an honorary MIT alumni and an honorary member of the Association of MIT Alumnae. Prof. Resnick is actively involved in Spain where she is President of the International Institute—a Massachusetts Charitable Foundation established in Madrid by American educators and suffragists in the 19th Century. The International Institute provides broad educational programs for thousands of American and Spanish college students each year and collaborates with the American Embassy, the Fulbright Commission, and Spanish universities. For the past twenty years she has run an annual international symposium that brings distinguished Americans and Spaniards together in Madrid to discuss topics including politics, literature, cinema, art and technology. Prof. Resnick has taught courses for executives in the U.S. and in Spain and on the Spanish Civil war seen from abroad at the Carlos III University in Madrid. Prof. Resnick combines her enthusiasm for Spain with her enthusiasm for teaching by introducing students to the absolutely best tapas bars in Madrid. Prof. Margery Resnick’s current research focuses on the history of women at MIT. She is Director of the MIT/AMITA Women’s Oral History project. This project, which is generously endowed by MIT’s women graduates, seeks to chronicle and record the ways in which an MIT education with its emphasis on problem-solving shaped individual lives, even when women graduates were limited in their work by their husband’s professions. She teaches undergraduates how to conduct the interviews, works with each student to plan and transcribe the interview based on conversations with the alumna, and then edits the interview. The interviews are deposited in MIT’s archives where they are used by researchers seeking to understand the role of women in science and technology, and by those who want to understand a more complete history of MIT that includes the lives of Tech women. When the archival project began, all three women graduates from the class of 1921 were alive, and their stories, along with others from that decade on, reveal how MIT’s women graduates in each generation consistently engaged in restless searches for ways to use their intelligence—despite often crushing social, personal and academic hurdles. Their narratives consistently reflect the will to use the habits of mind honed in their MIT studies regardless of circumstance—to create a legacy of innovation that links the earliest women of MIT to our contemporary students. Prof. Resnick is integrating the oral histories with research and writing she has completed on Katherine Dexter McCormick and Ellen Swallow Richards and other women who graduated before 1921, to produce a book that examines an aspect of MIT’s legacy too often ignored.